Swap tropical game pieces as you follow a path of puzzling fun. "Rainforest Adventure is a very pretty, light-hearted game. It relieves stress after a busy day. I found it quite relaxing, thanks!" Follow a path of puzzling fun through a vibrant rainforest in this colorful new challenge. Swap tropical game pieces to make matching groups of three or more and turn the board to gold in more than 120 brain-bending levels. 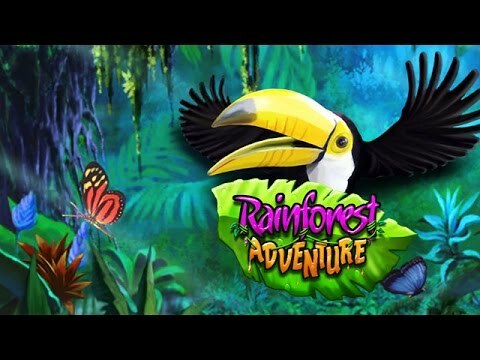 Featuring stunning South American backdrops, engaging power-ups, and hours of family fun, Rainforest Adventure is a breathtaking experience for puzzlers of all ages.